What should an arts festival for the future look like? 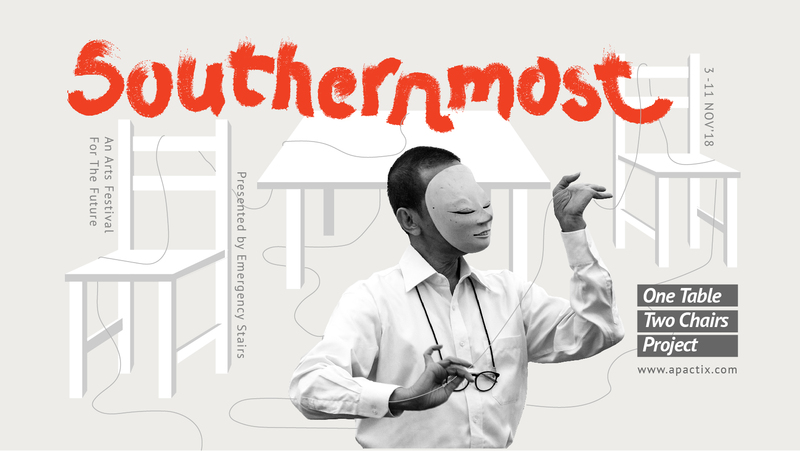 As a critique of existing festivals that often emphasise productions and audiences and are framed from a Western perspective, Southernmost proposes a festival format that is process-driven, artist-centric and Asia-based. 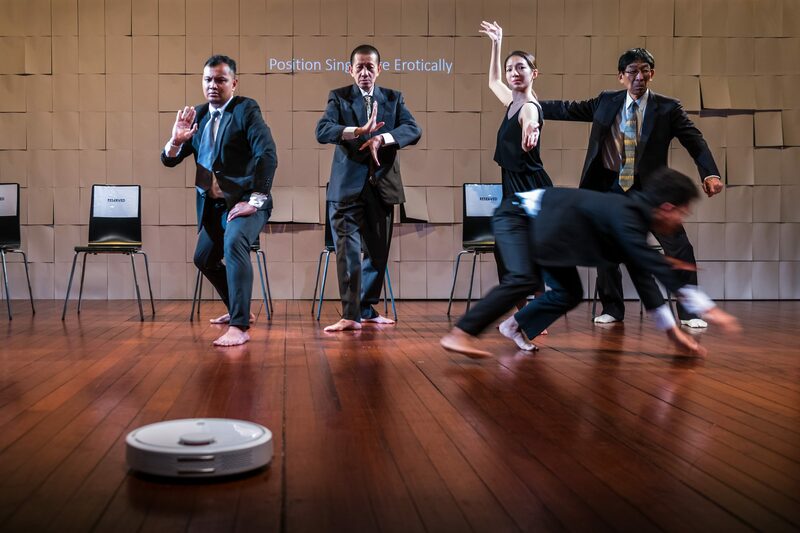 Audiences are invited to immerse themselves in a week of artistic experimentation and dialogue across art forms, cultures, time and space, as part of an ongoing exploration of how the arts festival model can be a platform for cultural exchange. Featuring 7 participating artists in 7 programmes, Southernmost’s lineup is structured to provide audiences with opportunities to witness and be intimately involved in the creative process and the offstage dialogues that occur between artists. Based in theatre development space Centre 42, the festival includes a series of traditional arts showcases, presentations and open rehearsals. Through examining the relevance of the traditional to the contemporary, and drawing on the process of critique and self-critique, Southernmost is an attempt to develop a long-term vision for how exchange and change can happen in the present and future. Experimental artist Andy Chia, a Singapore National Arts Council scholar, was trained classically in Chinese Flute performance in Nanyang Academy Fine Arts and also the first foreigner to receive a Masters of Arts in Dizi performance from the Shanghai Conservatory of Music. He seeks constant experimentation to explore the boundaries of the aesthetic and spiritual experience. 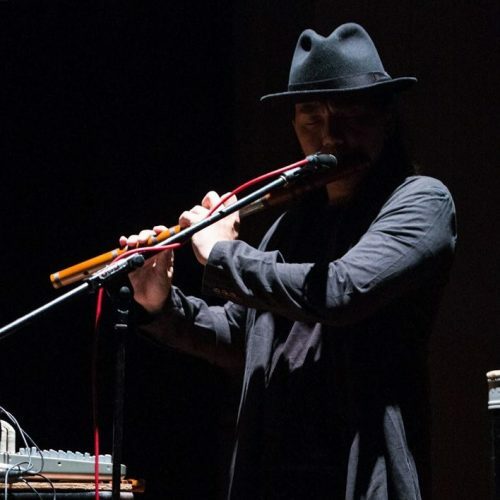 His performances techniques includes the use of electronic effects and extended techniques such as flute boxing on the flute, throat singing, as well as hand crafting his own instruments. Andy is the Artistic Director of SAtheCollective Ltd (a seed grant receipient of FY16-18), and also the musician of experimental contemporary ethnic trio SA(仨).Through the years, Andy has gained a myriad of experiences performing and creating works internationally in Asia, Europe, and North America. Andy’s works takes on a shamanic and ritualistic approach to explore the relationships between Humans, Nature, and Technology through a multidisciplinary and multiculturalism approach. Didik Hadiprayitno, or better known as Didik Nini Thowok was born in the small town of Temanggung in Central Java on the 13th of November 1954. He is a graduate of ASTI/ISI (Yogyakarta Institute of Art Indonesia) in 1982 and the director of LKP Tari Natya Lakshita/ Natya Lakshita Dance School (1980- present), and Didik Nini Thowok Entertainment. Didik Nini Thowok’s fame propelled him throughout Indonesia for his unique style; combining classical, folk, modern and comedic dance form. He is one of the few artists who continues the long tradition of “Traditional Cross Gender“ in the dance form. 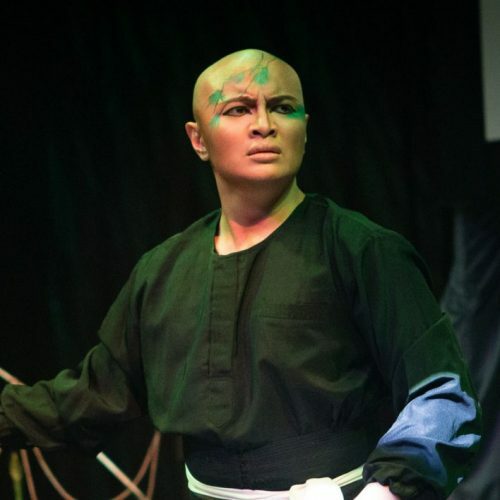 His talent in impersonating female characters as well as his incredible skill in various dance traditions such as topeng (mask dance), Sundanese, Cirebon, Balinese, and of course Central Javanese; has on many occasions dumbfounded the audience in determining the gender of the artist. Didik Nini Thowok has performed for the highest dignitaries throughout the world. He is one of the most celebrated dancers in Indonesia, and a multi–talented artist (dancer, teacher, performance artist, mime, actor, make-up artist, comedian, and singer). He is renowned for his superb interpretation of traditional dances of many regions of Indonesia. He is also an outstandingly original choreographer whose work is acknowledged internationally. He has lectured, conducted workshop and performed in over 38 countries. Elizabeth Chan (陈美锜), is a Chinese dance practitioner-researcher. 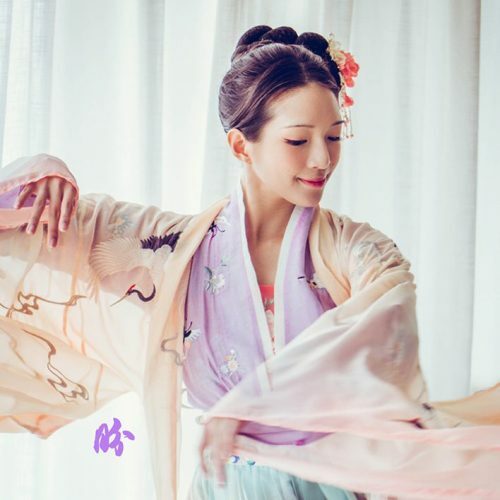 She graduated from the University of Roehampton (London) with a MA in Dance Studies in 2016 and prior to that, from the Hong Kong Academy for Performing Arts with a BFA in Dance (majoring in Chinese dance) in 2013. She has worked in Hong Kong for two years, with Hong Kong Disneyland and as a freelance dance artist. Most recently she is based in Singapore, studying her PhD in the National University of Singapore, as well as working with local artists and fellow Chinese dance practitioners on varied contemporary, intercultural and traditional topics. Her own research is focused on the multiple past and present positions of Chinese dance in the world. Kanji Shimizu is a Noh master from The Tessen-Kai Noh Theater Association, practising the Kanze style of Noh theatre. 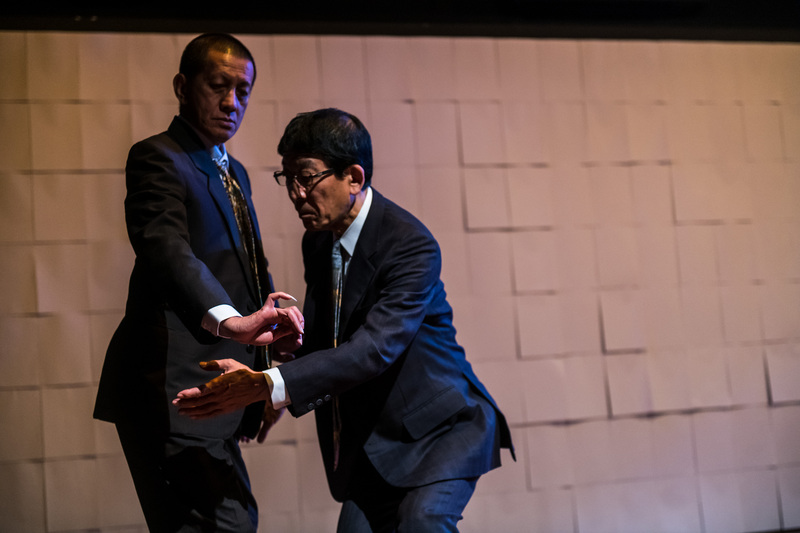 Not only does he perform classical repertory, he also works on the creation of contemporary Noh plays. He often collaborates with artists in contemporary theatre, dance, music and foreign traditional performing arts such as Kunqu in China. He is also a lecturer at Tokyo University of the Arts. In 2014, Shimizu was recognised as a living national treasure when he was awarded the status of Important Intangible Cultural Heritage of Japan. 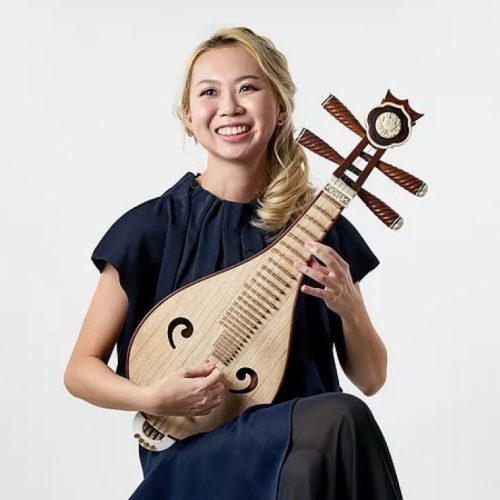 Loi Ee Vian is currently a ruan and liuqin musician with Ding Yi Music Company and she has been performing extensively with the ensemble locally and internationally since 2014. Loi started learning the ruan in 2007 under the guidance of Xu Yiping and since 2009, she has been under the tutelage of Singapore Chinese Orchestra (SCO) liuqin musician Seetoh Poh Lam in both ruan and liuqin and mentorship from Professor Zhang Xin Hua from Central Conservatory of Music, Beijing and renowned liuqin musician Tang Yi Wen. In 2016, Loi graduated from the Nanyang Academy of Fine Arts (NAFA) with a Bachelors of Music (second upper class honours), jointly conferred by NAFA and the Royal College of Music, London and prior to that, she attained her Diploma in Music in 2014. During her course of study, she was a recipient of the Ngee Ann Kongsi Entry Merit Award, NAFA Student Aid Award and Singapore Hokkien Huay Kuan Arts and Cultural Award. As a well sought-after musician, Loi has been a guest musician with many esteemed performing arts organisations, such as SCO, Singapore Ruan Chamber Ensemble and the People’s Association Youth Chinese Orchestra. Being a dedicated educator, she is actively teaching in schools and students under her private coaching have achieved outstanding results in instrumental grading as well as successful admission into prestige schools under the MOE Direct School Admission exercise. Nget Rady began his dance training in 1999, specializing in the monkey role of Lakhaon Kaol, the Cambodian classical male masked dance form. 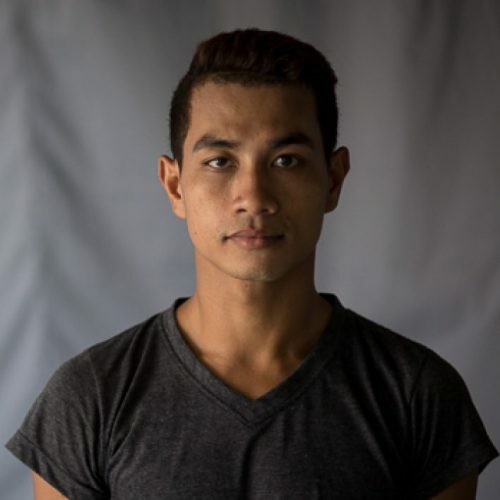 He graduated with a BA in Choreographic Arts from the Royal University of Fine Arts in Phnom Penh in August 2013. Rady has toured as a classical and contemporary dancer to Europe and throughout Asia as well as participated in many contemporary dance workshops. Rady has already created a number of his own works including The Feeling for Street Children and a short dance film called Forward. He was a featured dancer in CRACK – a new work of Cambodian contemporary dance by German choreographer Arco Renz – which was awarded the 2012 ZKB Patronage Prize in Zurich, Switzerland in September 2012, Khmeropédies III: Source/Primate by Emmanuèle Phuon (Season of Cambodia Festival New York, April 2013 and da:ns Festival Singapore, October 2013), and Temporal Pattern by Hiroaki Umeda (da:ns Festival Singapore, October 2013). Nget Rady performed in the inaugural Southernmost: One Table Two Chairs Project in 2017. 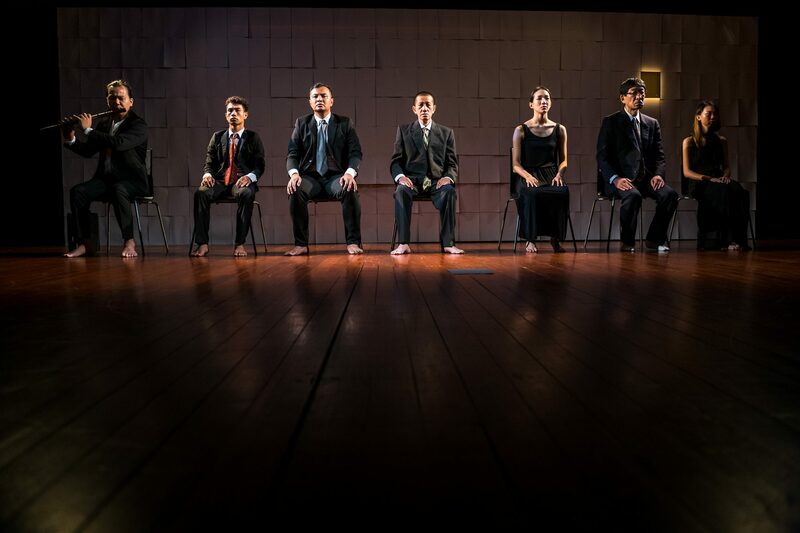 Muhammad Noramin Bin Mohamed Farid (Soultari) is a choreographer, arts educator and researcher from Singapore. 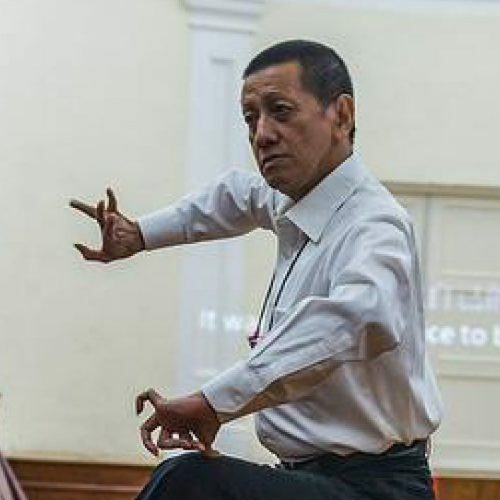 In addition he is the Joint Artistic Director of Bhumi Collective and the Vice-President of a traditional Malay dance organisation, DIAN Dancers. He is currently based in London where he is a PhD candidate in Dance Studies at the prestigious Royal Holloway, University of London,UK. He is a recipient of the India-ASEAN Youth Award 2018, Singapore Youth Award 2017 and the Goh Chok Tong Youth Promise Award 2016 which were conferred for his active participation as an arts creator and researcher. His research interests are in dance anthropology, critical dance studies and the performing arts of the Malay World. Southernmost is essentially performance-as-research/practice-as-research in motion. 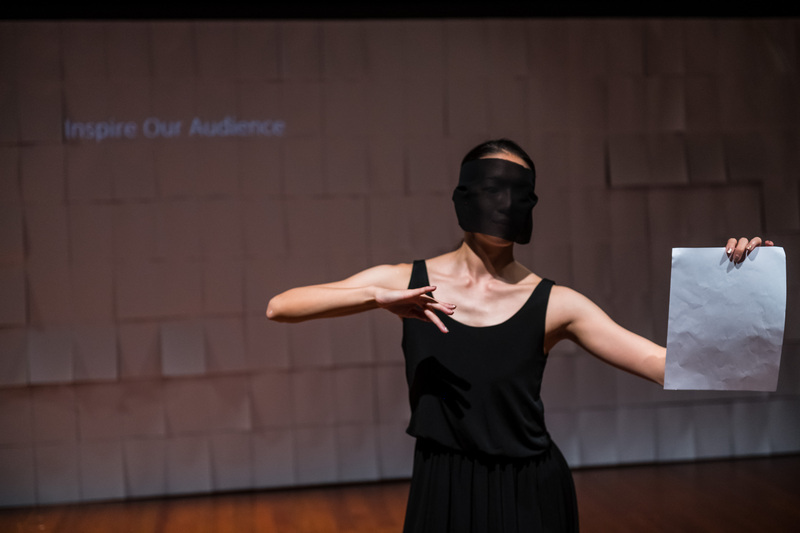 Xiaoyi’s “research and creation method” is an intense research programme tailored to a group of seven practitioners (plus stage manager, interpreter/administrator, sound artist… and critic? ), and we are in the thick of it. ... Southernmost isn’t just a research programme – it wants to be a reclamation programme. It proposes another path, another language through which to redeem and subvert the term “traditional”, another way to give knowledge to each other. Through the workshops, the intense discussions, the presentations and the rehearsals, these seven artists are passing on a new body of knowledge by example.